My plans are few for this weekend and that sounds perfect right about now. Enjoy your time and see you on Monday! I think the Charleston visitor’s board should be offering you a free visit to take photos for their media communications. You’ve certainly shown their town’s beauty in every shot. That window box was lovely in May, and I can well imagine that it’s even fuller and more beautiful now. Hooray for relaxed weekends ~ Enjoy! 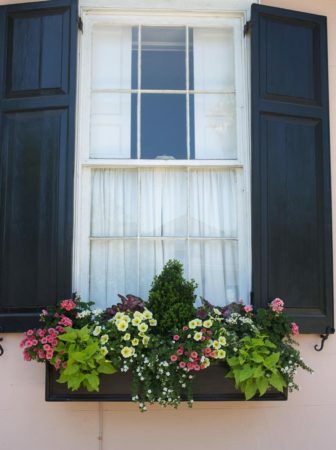 Window box envy is high here… I need to work on an alternative, I think! Happy Friday! The flower boxes in the south are truly something to behold! I remember Martha’s Vineyard had lovely window boxes, too. We’ve got few plans too. That’s good news. And those pictures never get old! Keep ’em coming! Love the garden in the box. I was behind,on blog reading, but can’t resist a comment about summer plans. You have inspired me to make my own list! Gorgeous window box. And yay for the weekend! Enjoy. Wow! and no, I’m not surprised you still have photos you haven’t shared. In fact, I’ll bet you have dozens more! When I visited Paris a few years back I photographed doors. It made a very cool collage. 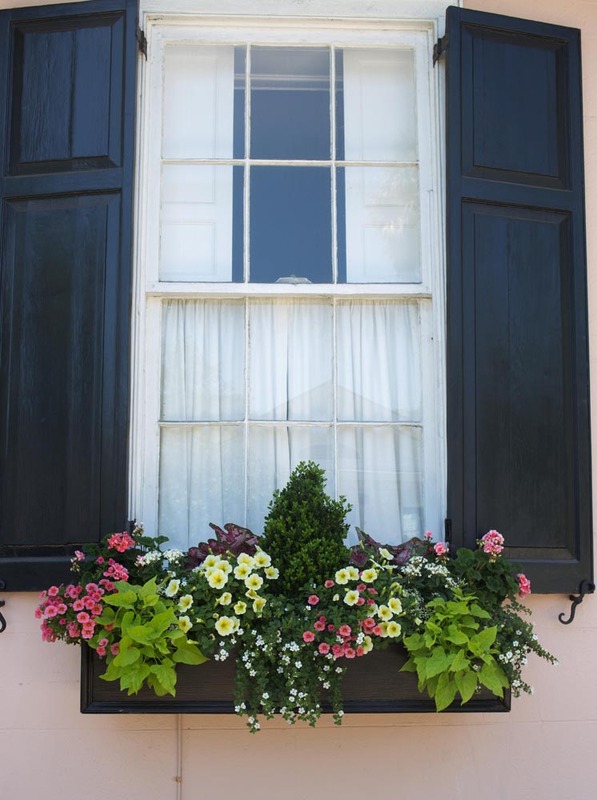 I’m thinking your Charleston window boxes would make a similar cool display. Happy Weekend! !